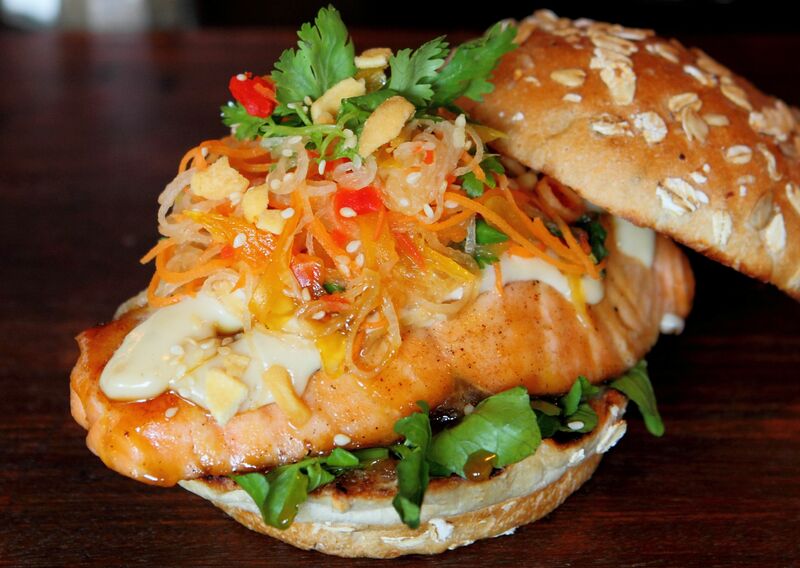 Even if it’s not Chinese New Year, you can enjoy this yummy salmon burger infused with the flavours of yee sang. This recipe combines a yee sang salad with a salmon fillet to bring together Asian and Western flavours. This recipe is courtesy of The Daily Grind and was first published in Flavours. Season salmon with salt and pepper and drizzle with olive oil. Grill for 3 minutes on both sides. Spread the bun with butter. Place watercress on bottom half of the bun and top with the salmon and aioli. Pile yee sang salad on top.